This is an activity that can be done in one day or divided up over several days. Students first taste test either chips, Oreo cookies, or Starburst depending on which you choose to do first. 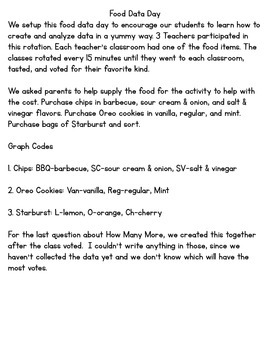 Then, they vote on their favorite flavor on the whiteboard or Smartboard. 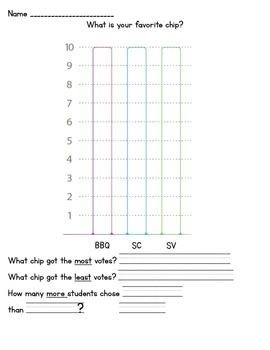 When all students have voted, they color in the graph to represent the data. Together, create the question for How Many More at the bottom. Students answer the questions after looking at the results on their graph.